Every Sunday night, they shared vision training. One partner had hollow bones, was aerodynamic and silent. The other, a girl, sat cross-legged, with eyes closed while she modulated her breathing and focused on maintaining the mental connection. When successful, she could see through predator eyes that only needed moon and starlight for illumination. Flying over the forest, infinitesimal movements below drew that gaze like a heat seeking missile. Calloused feet with razor-sharp talons swung into forward position. Claws at the ready to clutch and puncture. Sarie took a steadying breath as she dive-bombed, plummeting at alarming speeds. She pulled back her mental bonds knowing that the mouthful of salty warm plasma and sticky fur would turn her stomach. She would gag and cough when the sharp bones scraped against the inside of her throat. A sudden reaction like that would sever the tenuous mental bond. Once the temperate meal was consumed, Sarie rejoined her partner fully. Growing impatient, she sent urgings to resume flight. The huntress stretched her powerful wings and dug through the air so that she was again soaring. With her hunger sated and plenty to spare for her young, the mother owl enjoyed the brief moment of freedom. This was the time that Sarie waited for. Pushing her thoughts stronger into the bird’s mind, they turned east. The fires that had burned there were mostly out. The owl scanned the scene observing everything. Hordes of people dressed in tribal garb shouted as they pushed timbers aside. From opposite ends of the make-shift arena, opposing teams entered. A pack of sleek, black cats padded in on massive pillow-like pads. Dangerous yellow eyes regarded details of the playing field. Flexuous tails moved like cobras seeking targets to strike. Next entered a herd of commanding steeds. Manes flying, hooves pounded the ground like rolling thunder. The forerunners reared up on hind legs and reached heavenward like Pegasus preparing to leap. In response to the challenge, the felines lowered on haunches, bared fangs and struck out, hooked claws extended. Hissing and snarling. The crowd of onlookers hushed in veneration. As the battle commenced, the owl landed in a tree. Sarie’s attention receded. She didn’t’ care to see the massacre. She only needed to know the location of one man. When it was done, the owl took to wing to witness the carnage. A man with glowing hands worked over a fallen stallion. Spotting him, she screeched and rocketed toward him. Hearing it, he immediately rose to his feet. Reaching into a pocket, he pulled out a shiny object and held it high overhead. The bird snatched it effortlessly. She spanned the distance to the girl in record time. “Who whooo,” came the response before the mother flew off to feed her famished fuzz balls. He followed, ’Key Key’ up the little dirt hill. 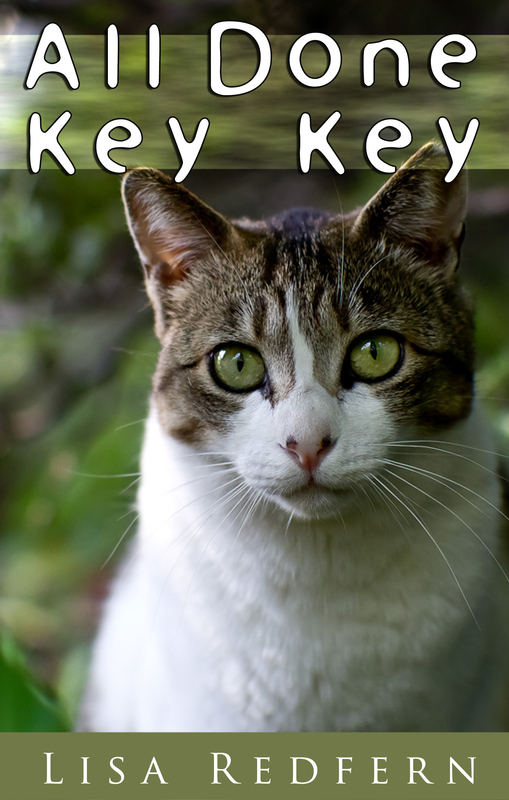 Key Key was what he called the family pet whose real name the toddler would not be able to pronounce for years. Wearing nothing but the wide, padded diaper that securely fastened around his hips—a diaper that sagged heavily at its lowest point—and a pair of shoes, Noah scrambled through the loose soil. It quickly filled every available space inside his sneakers. Key Key, much quicker and more nimble than the boy on short, pudgy legs, daintily waited near the top for Noah to catch up. Once she was sure that he was paying attention, she began to deepen the hole that she’d started that morning. Bracing herself on her hind legs she leaned her upper body on her forepaws and made a scrambling motion that sent rooster tails of dirt shooting up in the air behind her. Pausing, Key Key purred loudly and wove herself in and out of Noah’s arms and legs. “What in Key Key?” he asked as he plopped down on his bottom and inched his feet down into the open space. Making his way to the bottom, some of the dirt around the edges fell back in. Once there, Noah mimicked Key Key, scooping out more earth. Something felt funny in there, something hard and cold. Noah stopped as he noticed a new smell. Not the rich, loamy dirt smell he loved…but something else. Carefully, and slowly, Noah excavated more earth. He could see a little bit more of the thing they’d uncovered. He stopped and then he looked up at Key Key. She sat there at the edge purring and whipping her tail from side to side. Noah climbed out of the hole and turned around to push the loose soil back into the hole. It was unusual that a boy so young could stay focused on a task like this, but Noah stuck with it until all the dirt was back in place. He stood up on his little legs and stamped his feet on the spot. “Fixed. All done!” he said as he smacked his hands together to knock off the dirt that still clung to them. He trundled back to his house with Key Key trotting along beside him. Story Prompt: WriteOn writing challenge – 500 words or less – repair a hole. Inspiration: A rediscovery of some old family videos. My son was two. It was a hot summer day. He was exploring the yard wearing only his sandals and a diaper.